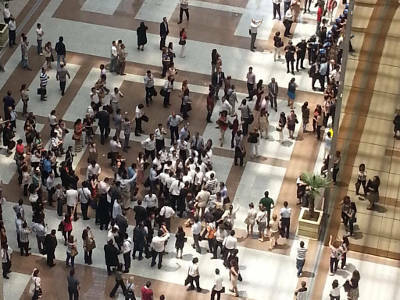 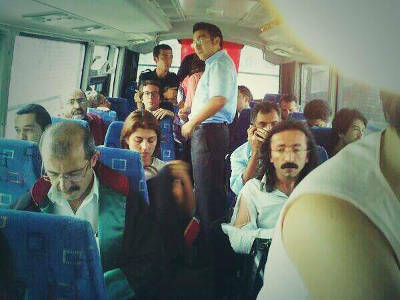 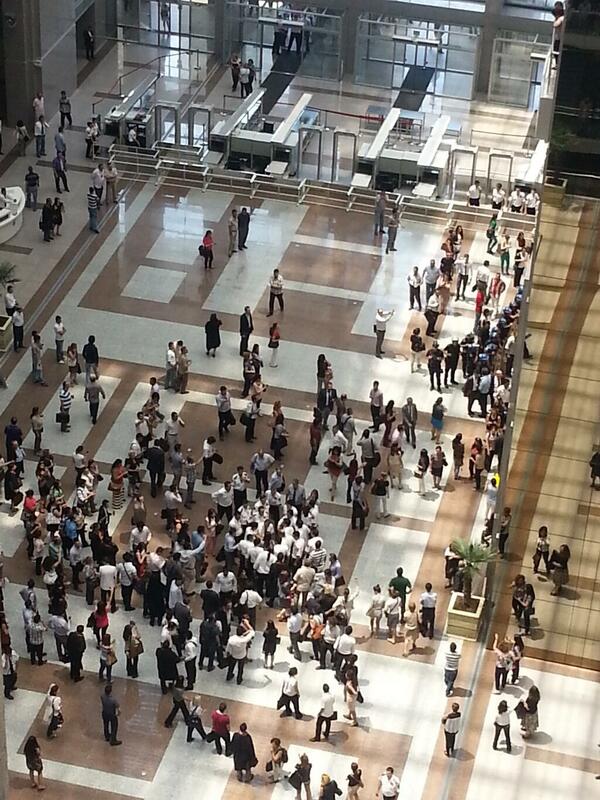 50 lawyers are taken into custody at Çağlayan Courthouse and released at the night of the same day. 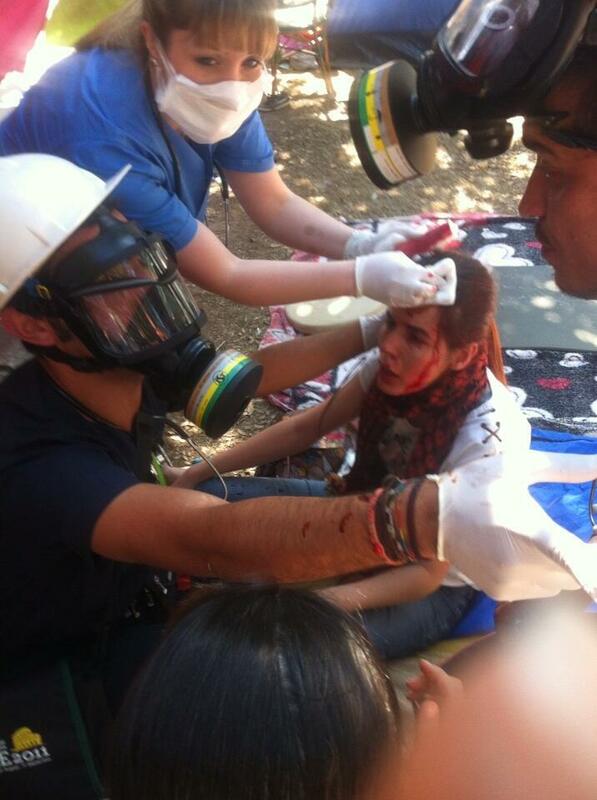 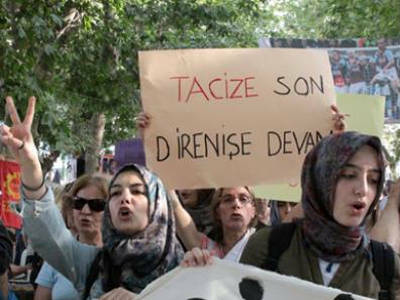 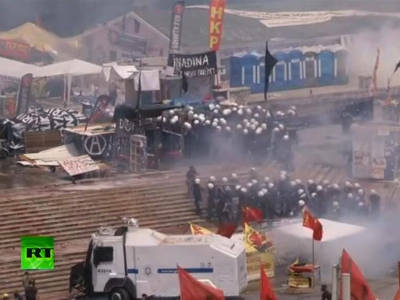 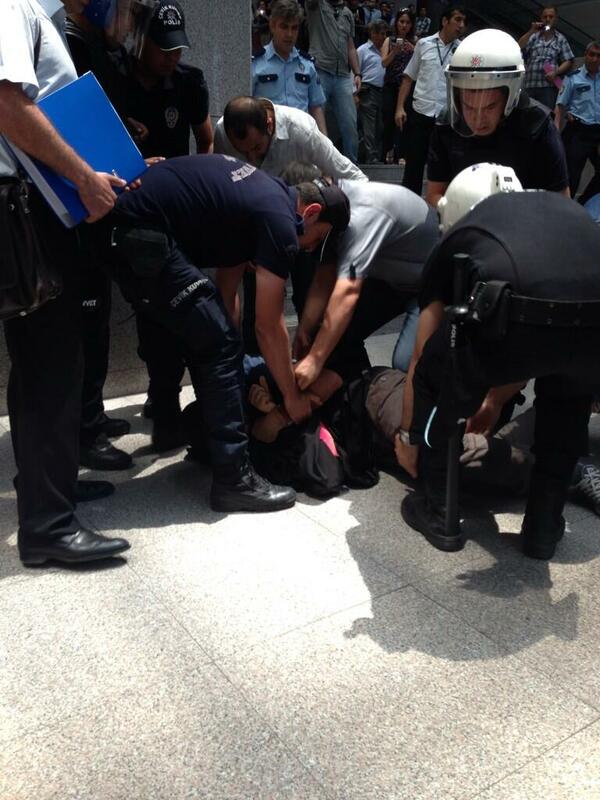 Police intervened to the protesters in Taksim Gezi Park. 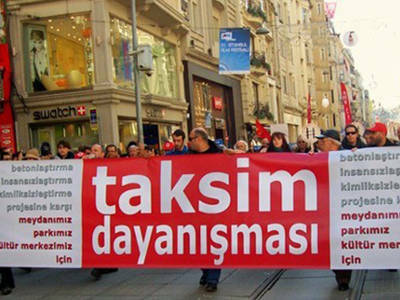 Taksim Solidarity group is called for a meeting at 19:00. 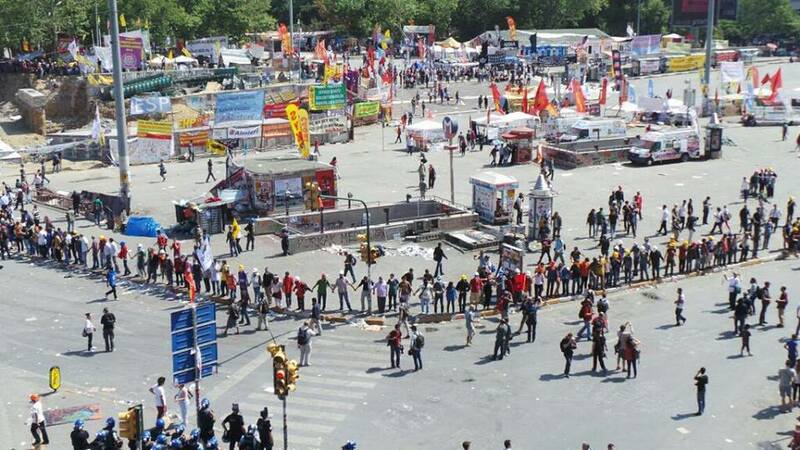 Turkey Radio and Television Board (RTUK), gave a monetary penalty for Ulusal TV, Halk TV, Cem TV ve EM TV (channels that are broadcasting Taksim Gezi Park Protests live) because of broadcasting provocative violence. 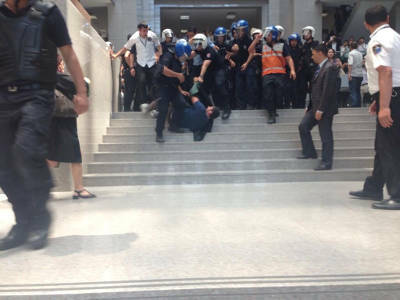 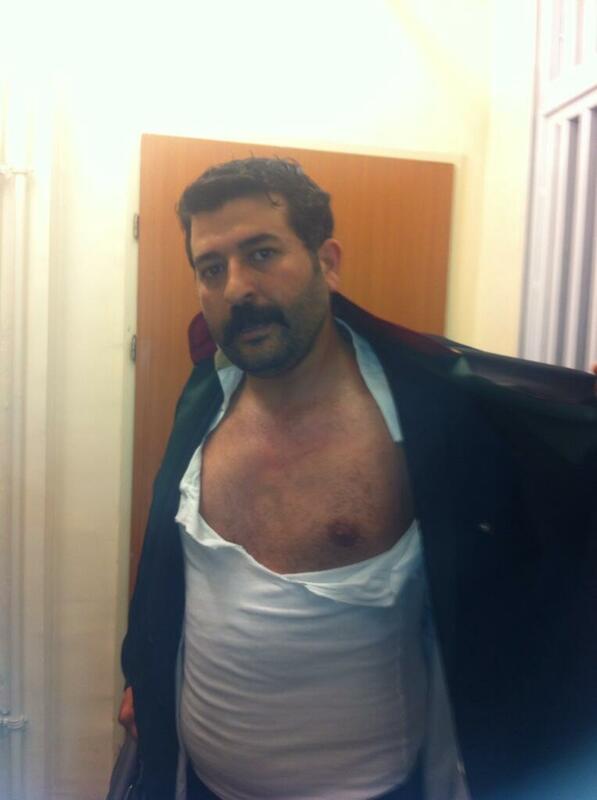 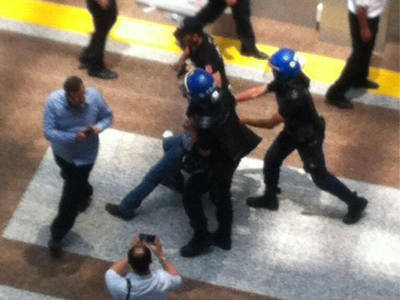 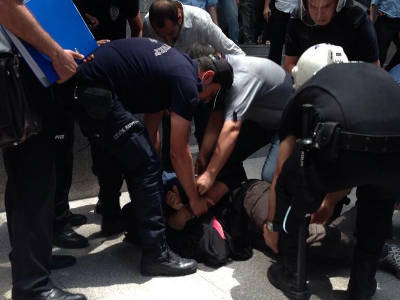 Police arresting lawyers at Çağlayan Courthouse, İstanbul. 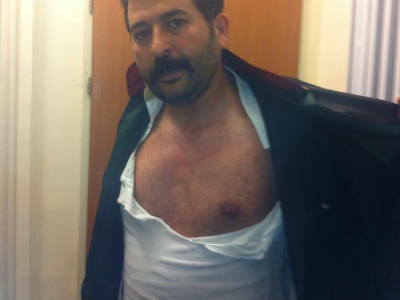 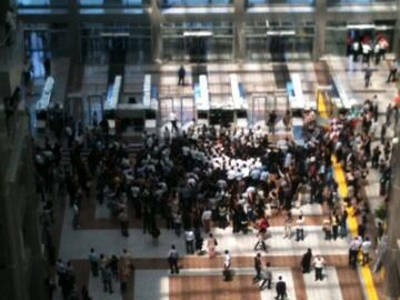 Police seized the vehiles of Çağlayan Courthouse. 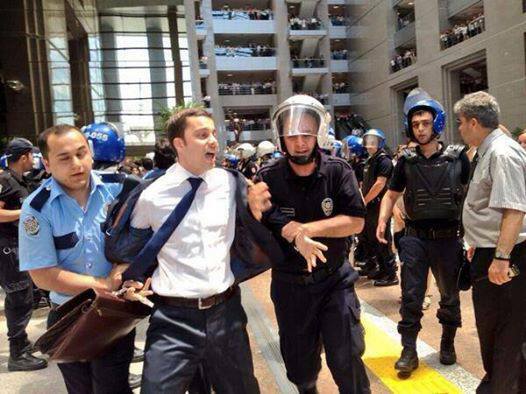 "I want my lawyer! 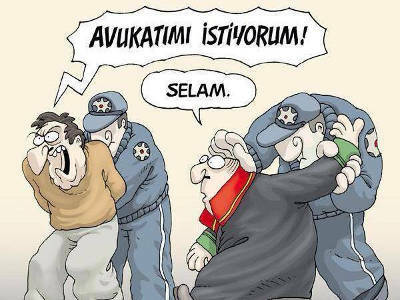 ", "Hi!" 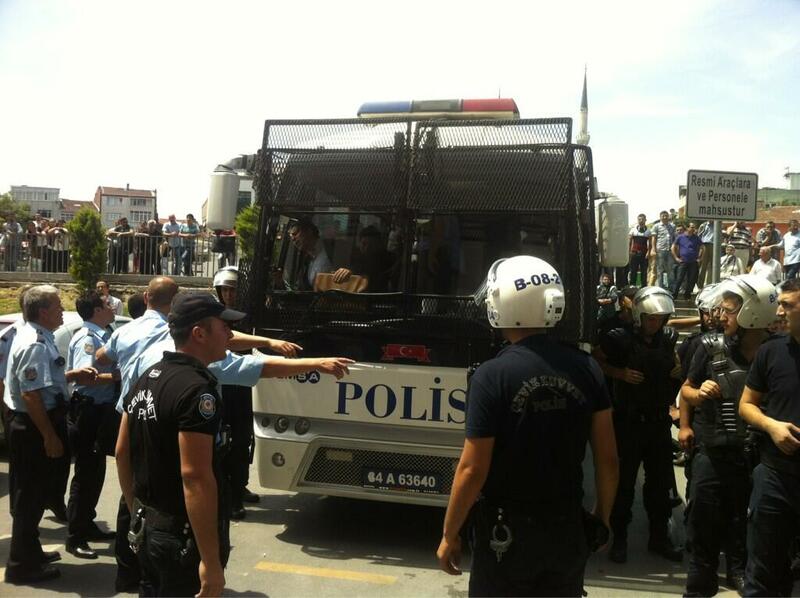 Police taking lawyers into custody. 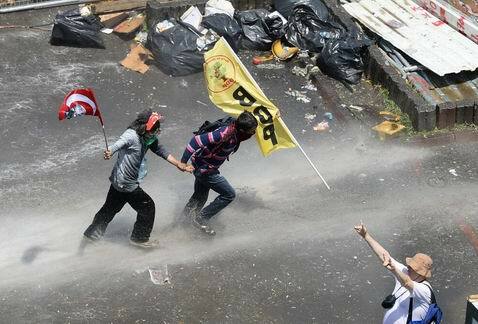 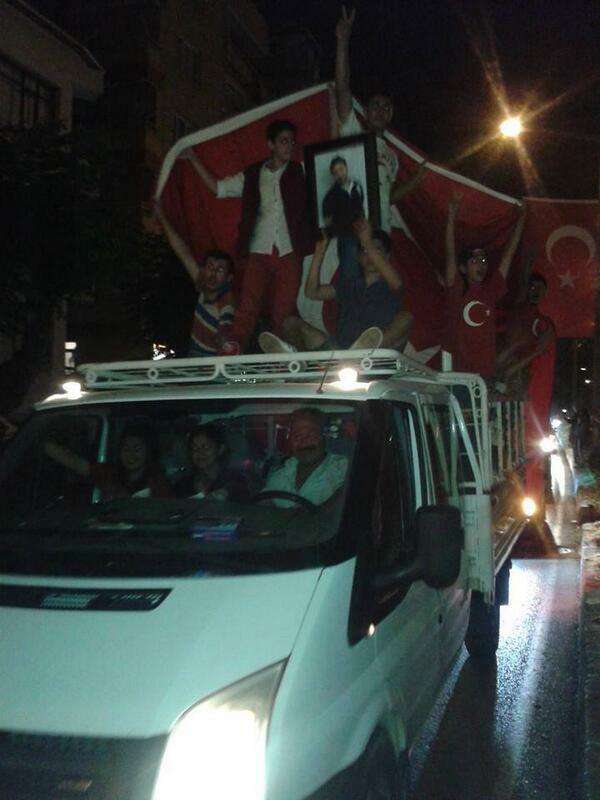 An SDP (a political party known with its Kurdish inclination) supporter and a Turkish protester side-by-side. Injured people in Taksim, İstanbul. 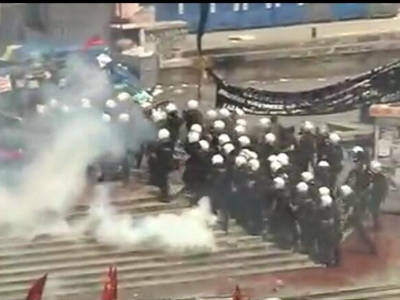 Police forces are marching towards Taksim Gezi Park. 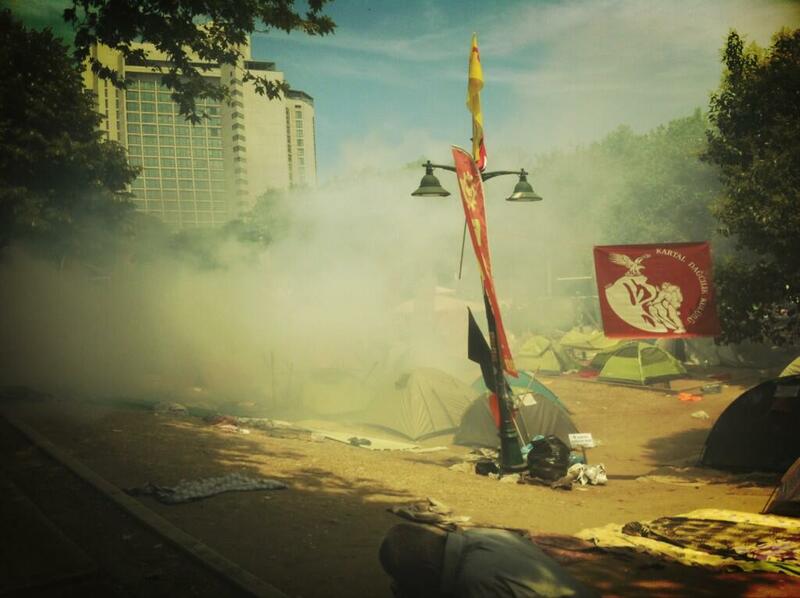 Gezi Park under tear gas. Empty tear gas cans collected by protestors. 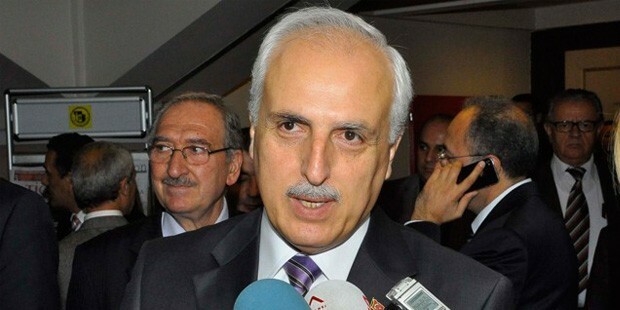 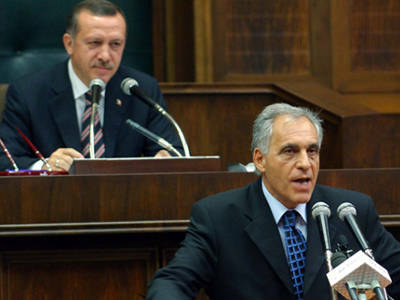 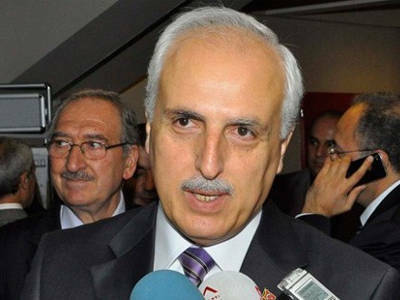 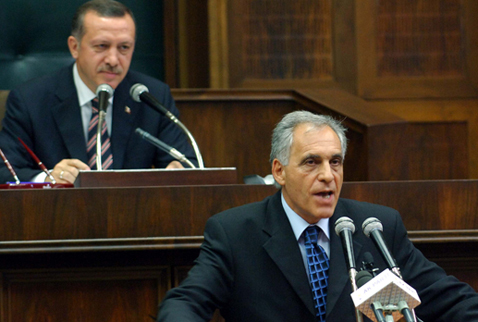 AKP parliamenter İbrahim Yiğit criticized that "Erdoğan is getting angry of critics, claiming that he is representing 50% of Turkey. 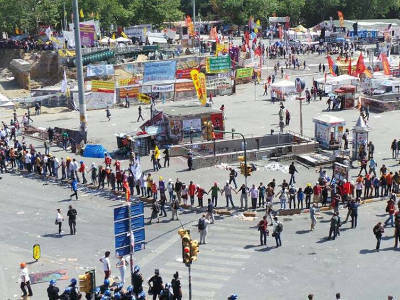 Are you driving us to a civil war? 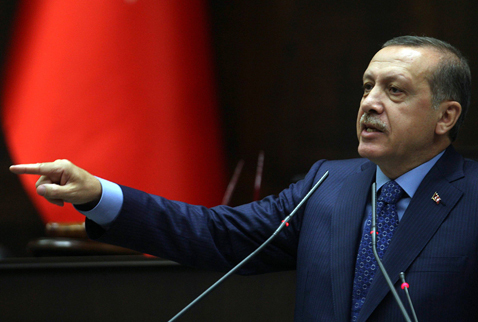 Are you going to make people kill each other?" 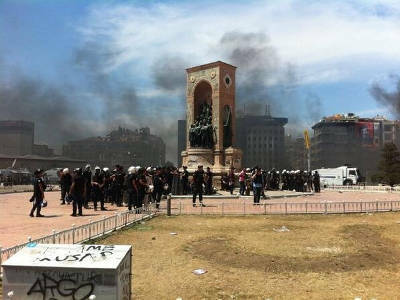 Police forces holding Taksim Square. 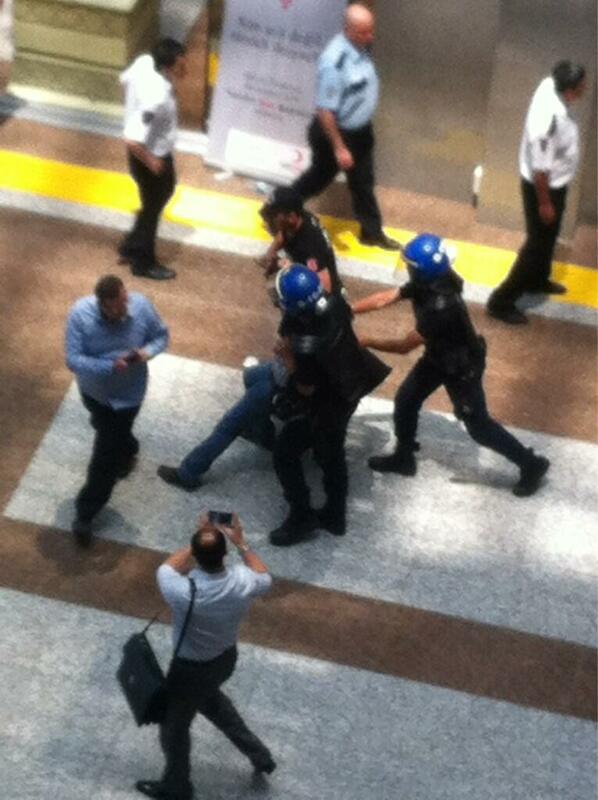 Police taking people into custody. 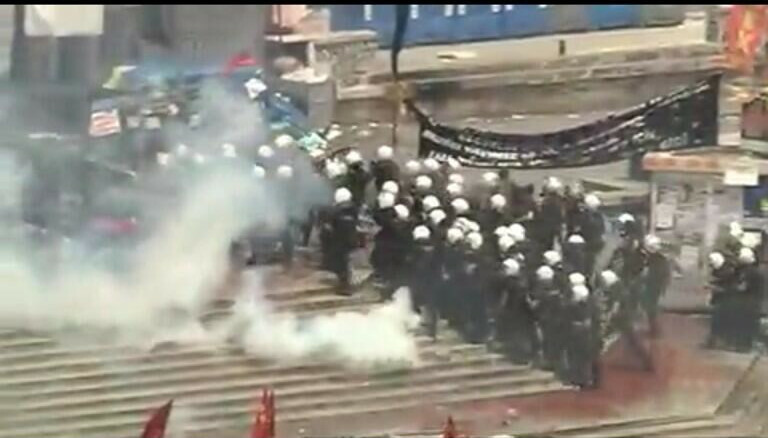 Police forces intervening in Taksim. 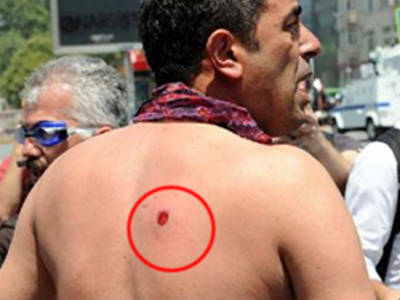 A protestor shot by a plastic bullet. 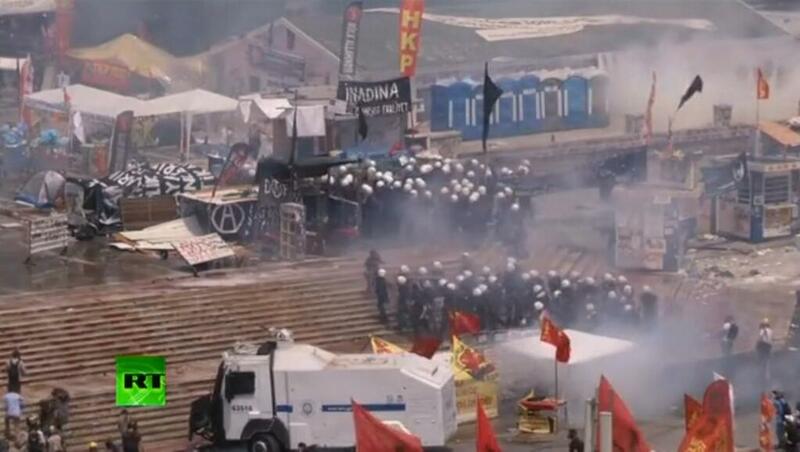 Police is intervening in Taksim Gezi Park. 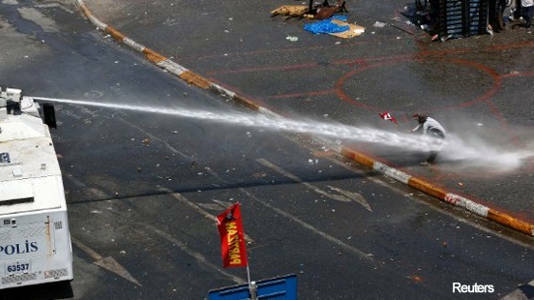 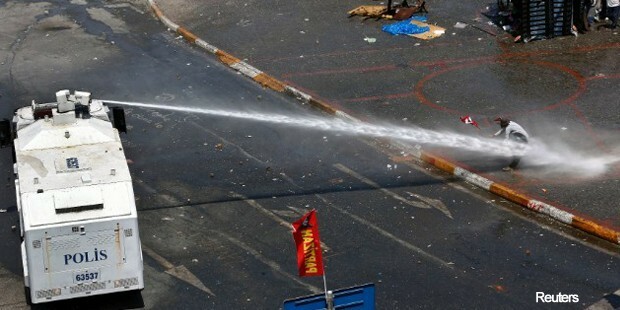 TOMA is watering a protestor. 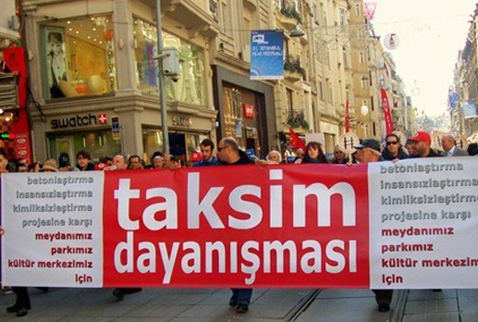 Taksim Solidarity group is calling for a meeting at 19:00. 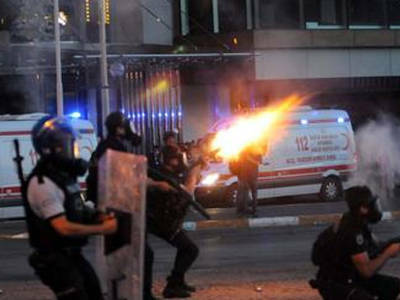 İstanbul Municipality published a report stating that there are 3 police officers and 10 protestors injurned during the clashes on Tuesday. 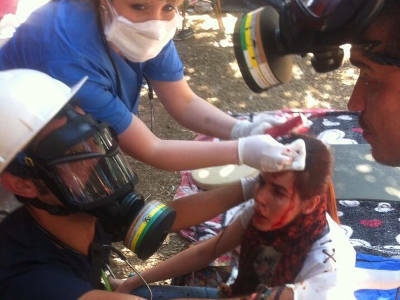 The injuries only included disorder at breathing. 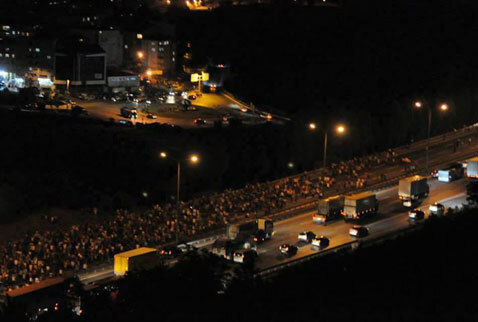 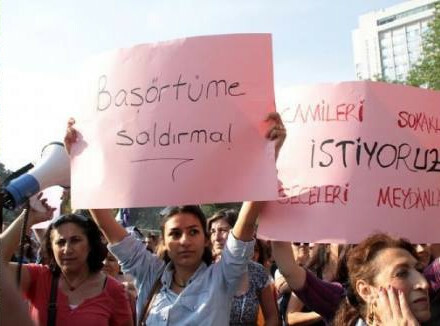 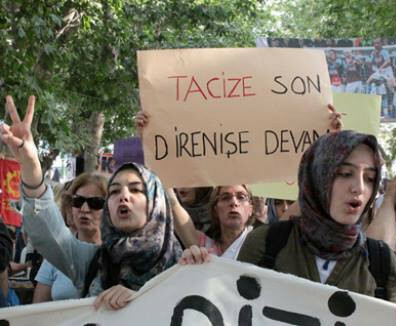 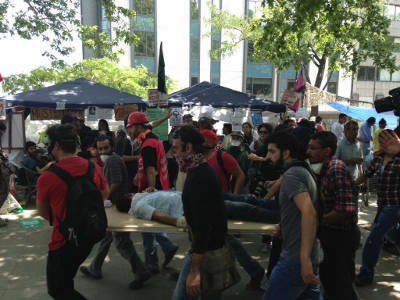 Volunteered doctors reported that among the protestors (İş Tabip) there are 3 patients with severe head trauma, 3 with broken legs and arms, and a patient with achilles tendon cut. 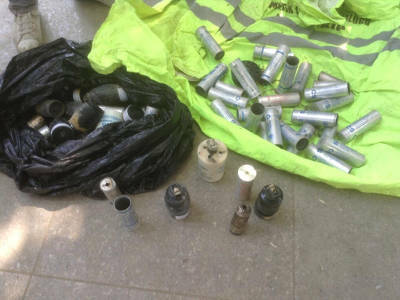 In addition, there is a patient with chest trauma, 9 with plastic bullet injuries, and a patient had an open skull fracture. 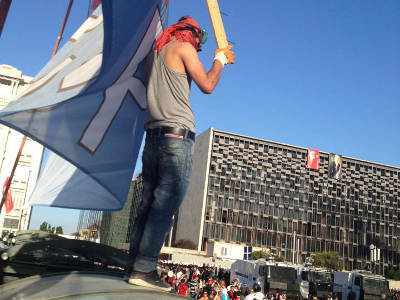 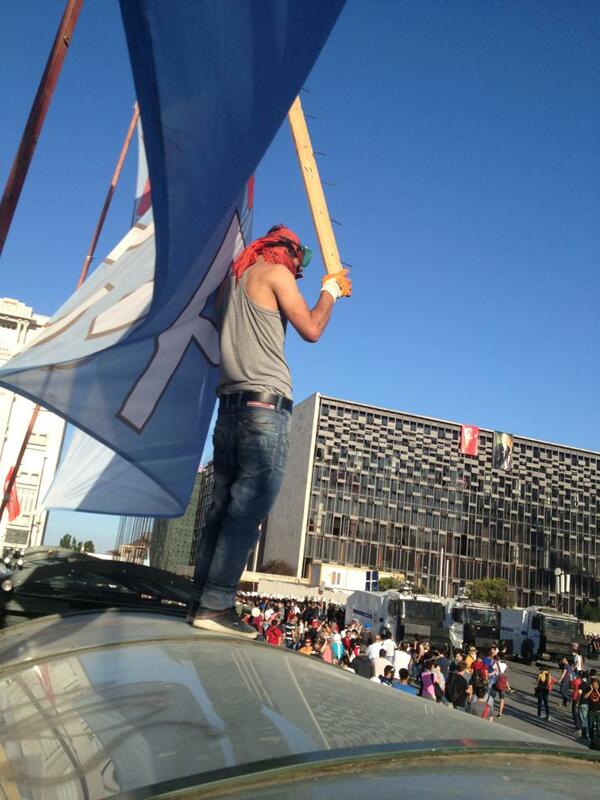 A protestor is risking his life to stop the TOMA to move on. 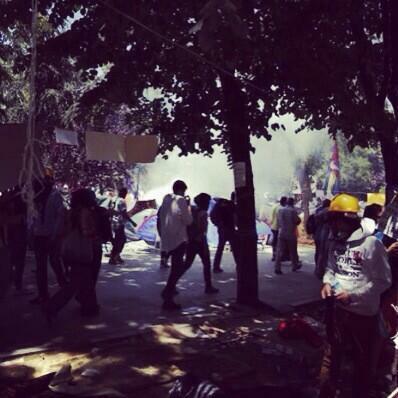 "Take your kids away from Taksim Gezi Park. 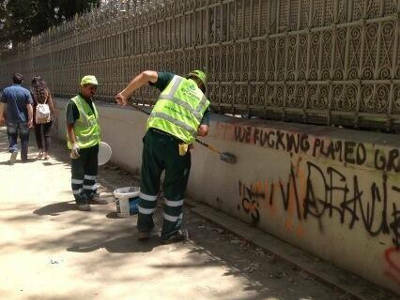 The park is not safe any more." 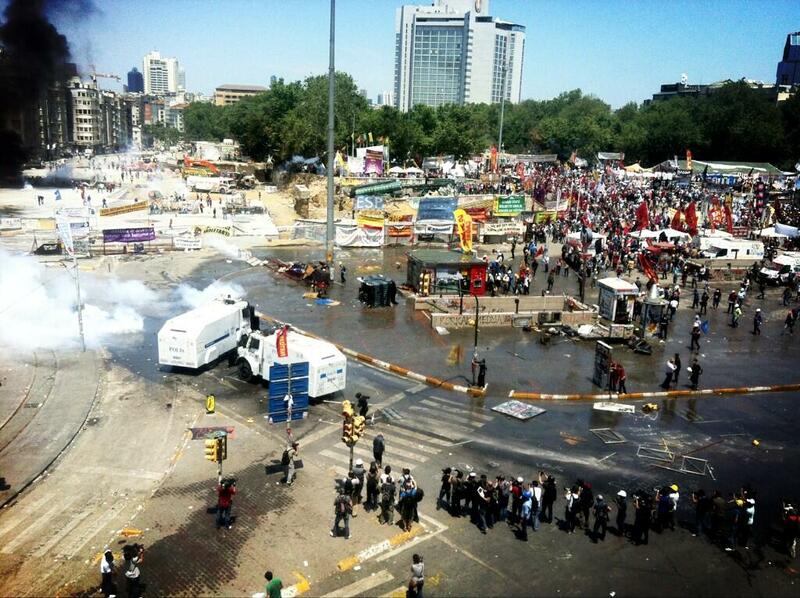 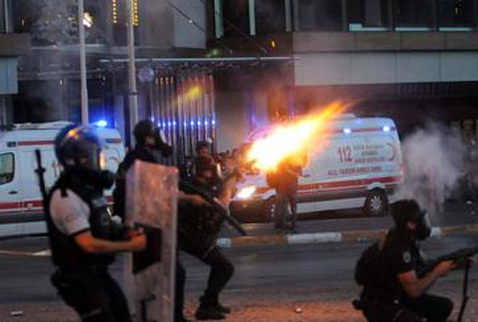 Erdoğan stated that "3 protestors are dead and 1 police officer is killed. 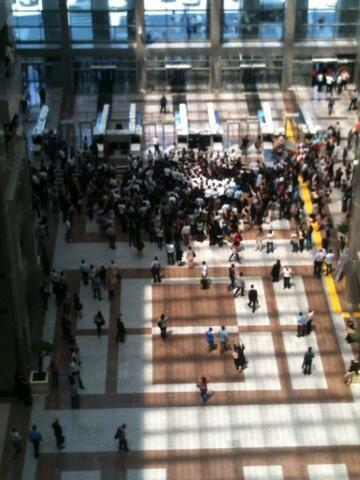 People are hitting pans and pots, making noise to protest and disturb people. 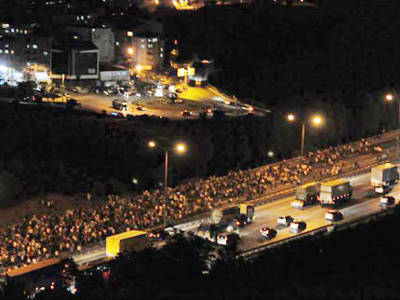 Remember that noise pollution is an enviromental pollution, too. 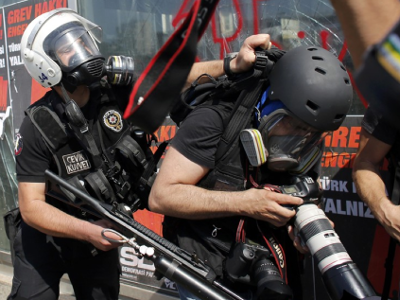 With this protest, international press are systematically expressed wrong information targeting the international power of Turkey. 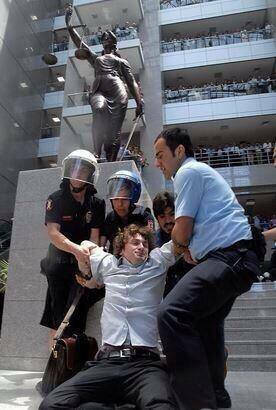 They are aiming to increase the bank interests for profit. Taksim Gezi Park protests are presented as pieceful democratic events. 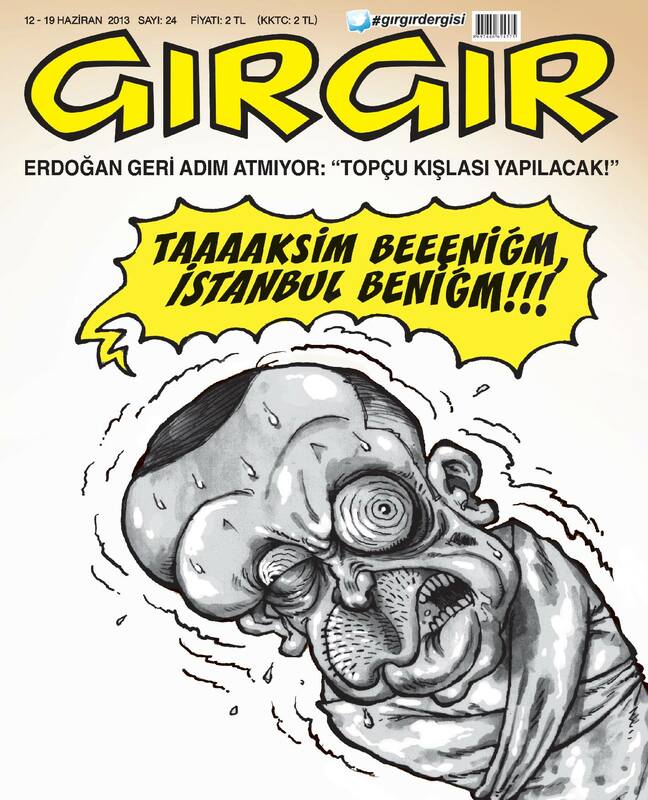 However, this is not the case." 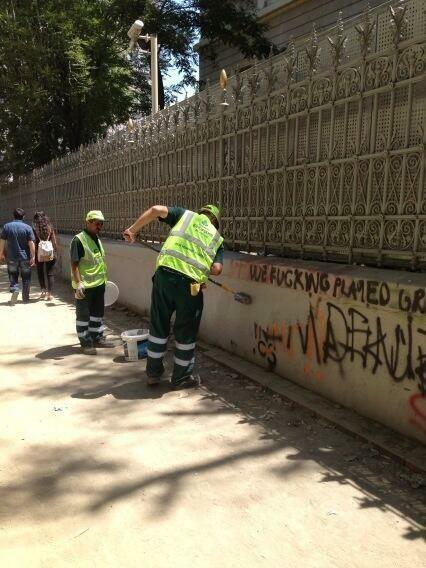 Municipal workers are cleaning off the walls. 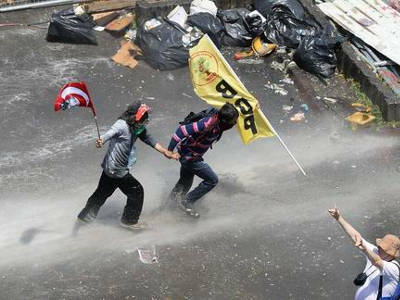 Crowd hand-to-hand protecting the Gezi Park against police in Taksim, İstanbul. 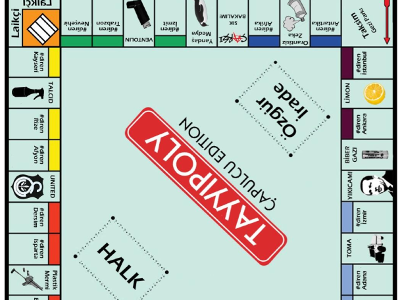 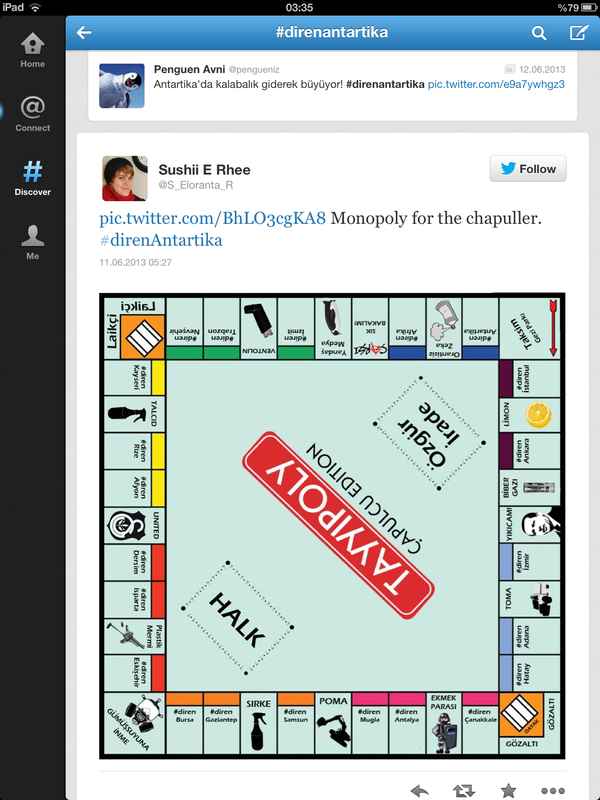 Monopoly board adapted to Erdoğan. 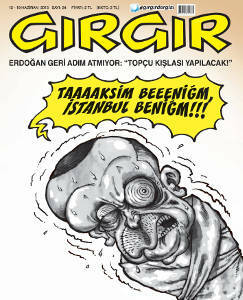 Tayyip is not taking a step back. 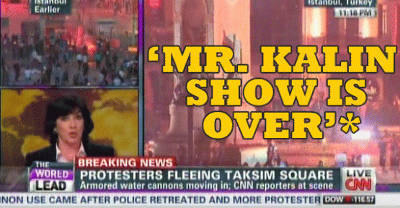 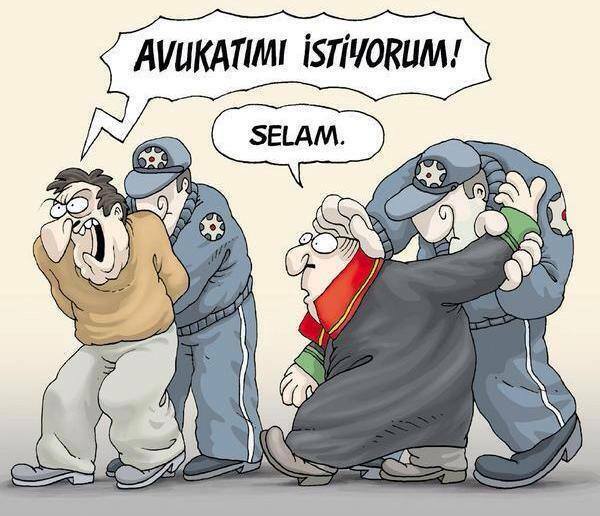 "Taksim is mine! 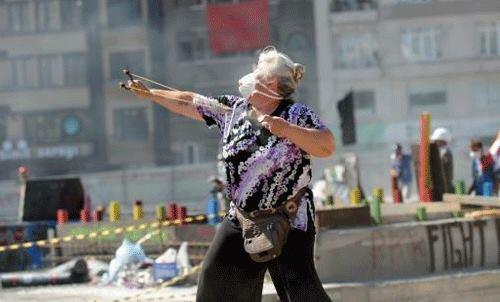 Gezi Park is mine!" 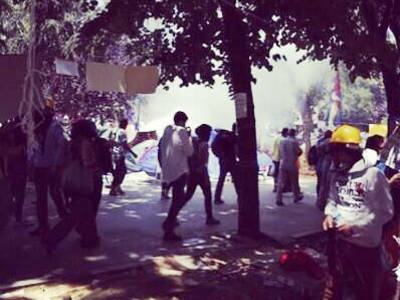 Clashes in Kennedy Street, Ankara. 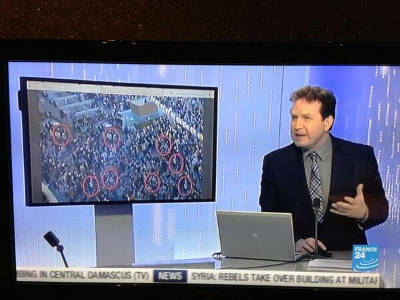 France TV channel showing the AKP meeting photos, which turned out to be photoshopped to increase the population of the crowd. 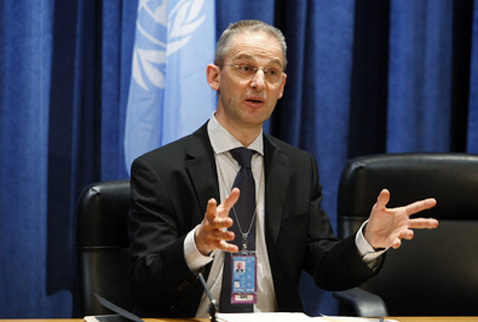 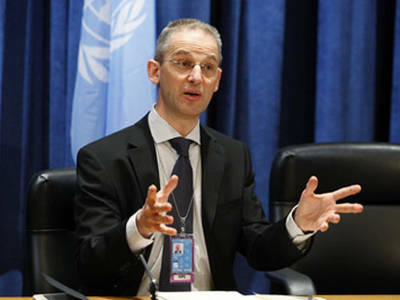 Representative of United Nations, Martin Nesirky calls for calm down and suggests the government to talk to the protestors. 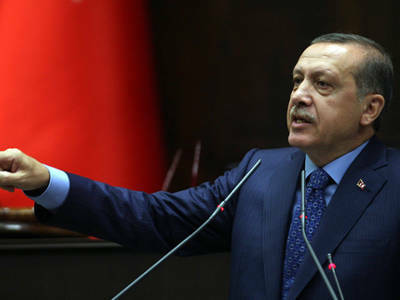 He further states that "In a democratic government, people should be free to protest and government should respect the freedom of expression right of civils. 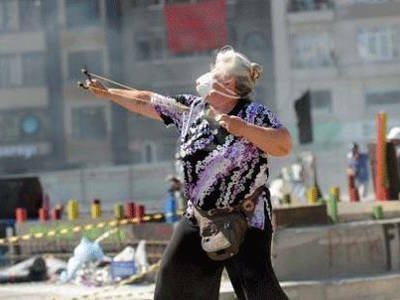 Protests should be peaceful." 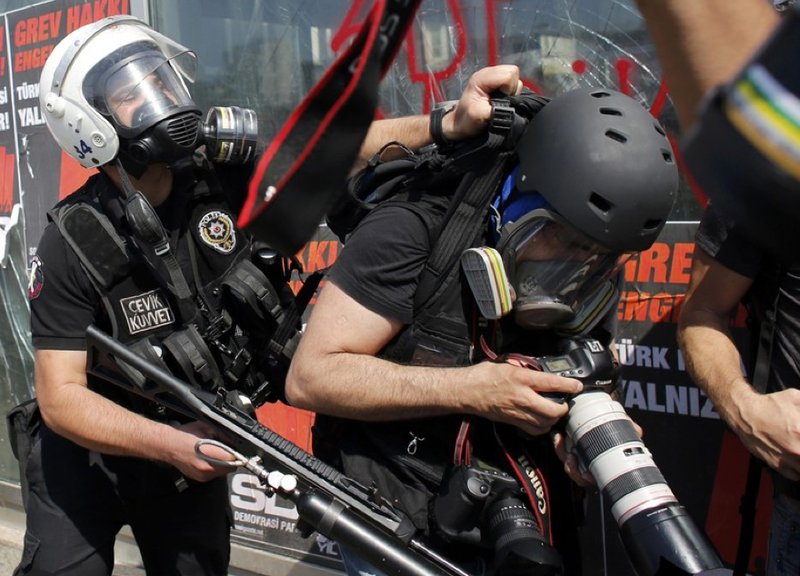 CNN Live reporting the police kick CNN cameraman. 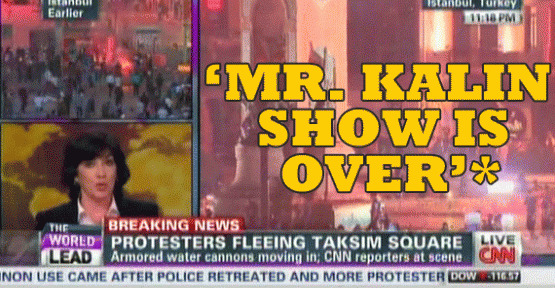 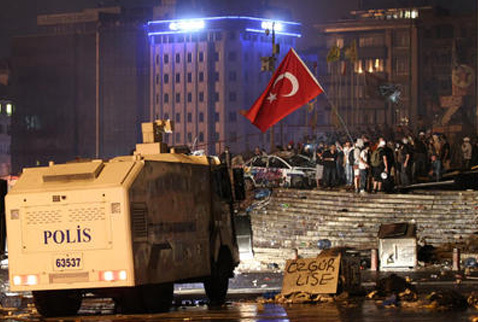 Amanpour: Why are you insisting on Taksim Gezi Park? Kalın: Those people are the ones who attacked the US Embassy. Amanpour: This is not my question. 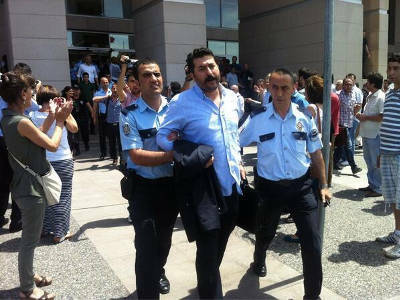 Kalın: When DHKP-C attacked US Embassy they were recognized as terrorists, however when they are at Gezi Park are they called protestors? 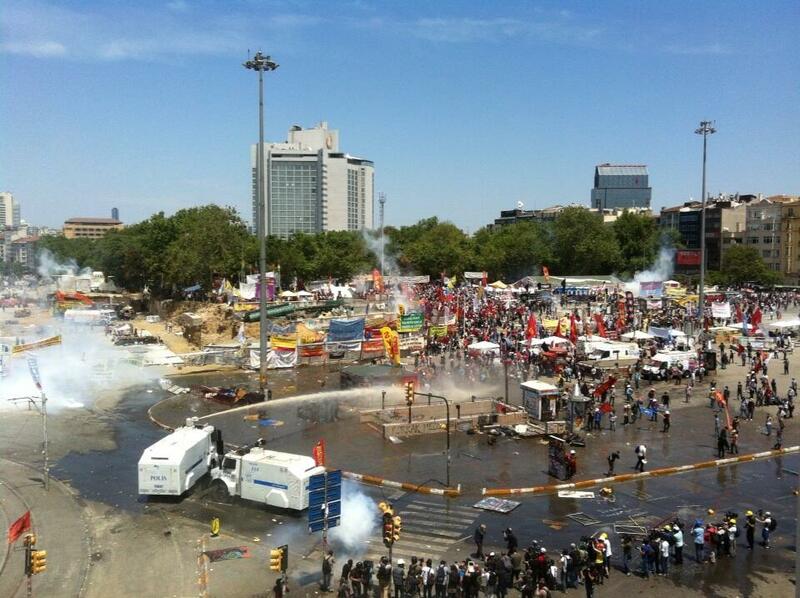 Kalın: It is not Gezi Park that is intervened, it is the outer part of Gezi Park. 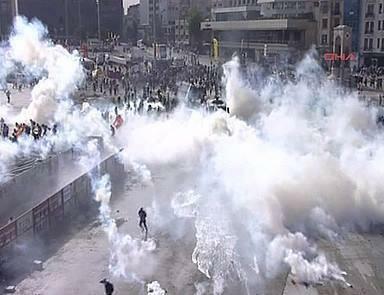 Amanpour: But our journalists are there and broadcasted the moment police threw tear gas at Gezi Park. 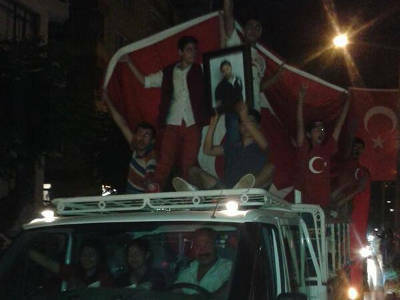 Kalın: If you look at their flags they are mostly terrorist groups. 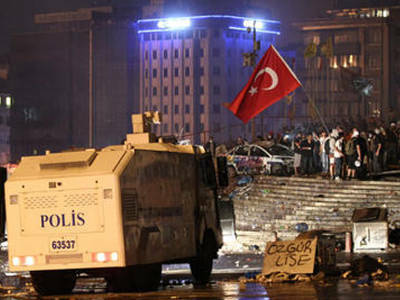 Amanpour: I saw a huge Turkish flag at behind.